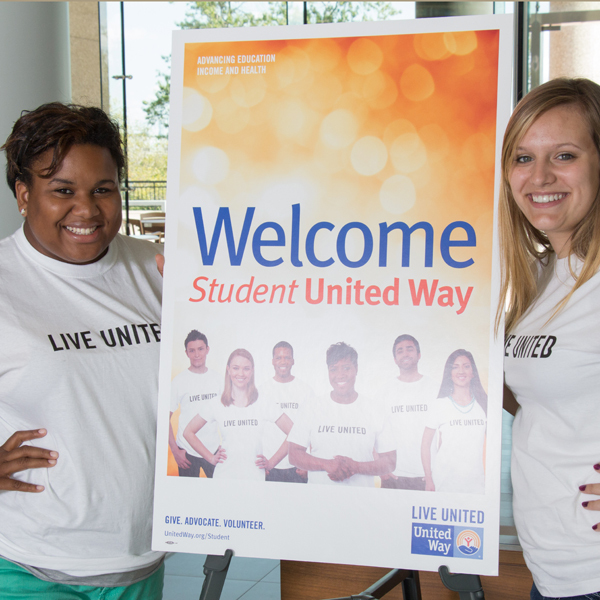 Student United Way is a student-led community change organization. 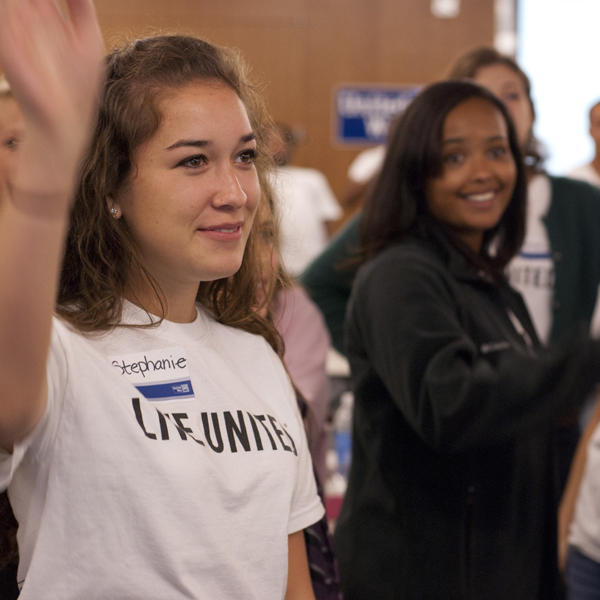 Student leaders improve peoples’ lives, develop leadership skills and join the growing United Way movement by giving, advocating, and volunteering on campus and in the community. Upon graduation, student leaders of United Way campus chapters join an alumni network that helps them stay involved in community change for the long term. 3) building lasting relationships amongst members and with the United Way movement. To address the lack of communication between service organizations on IU’s campus, we partner with existing service clubs on campus to share resources, volunteer opportunities, and brain power. Interested in becoming a partner organization? 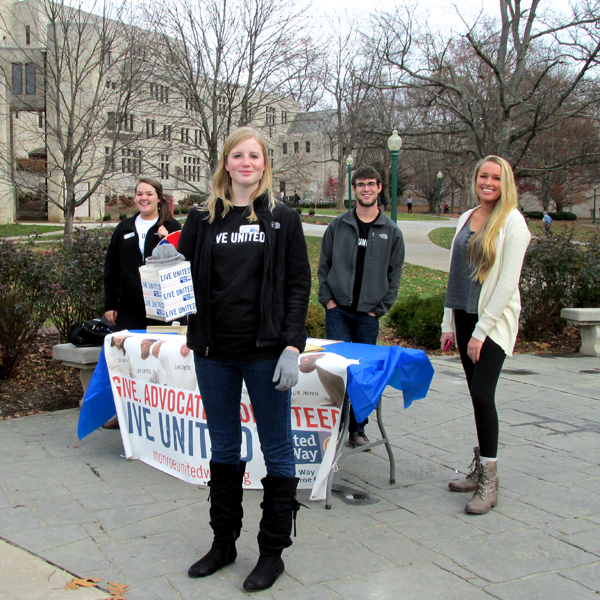 Contact IUStudentUnitedWay (at) gmail.com. Spread the word about United Way by helping us put up posters around campus. Interested in getting involved? Once our members log 8 community volunteer hours through SUW they earn their LIVE UNITED t-shirt… But don’t just wear it, Live it! Thanks to the generous support of Indiana University faculty, staff, and students, a hungry senior received a warm meal, a child received a much needed mentor, and a family is getting assistance to make it through a crisis. These and many other moments are only possible due to caring individuals throughout the community who participate in the annual United Way campaign each fall collectively donating over $1.3 million dollars to support the efforts of United Way and its 25 partner agencies. For over 60 years, the United Way of Monroe County has been working to address the most pressing human service issues of local residents and is thankful for the incredible generosity of Indiana University student, faculty, and staff. 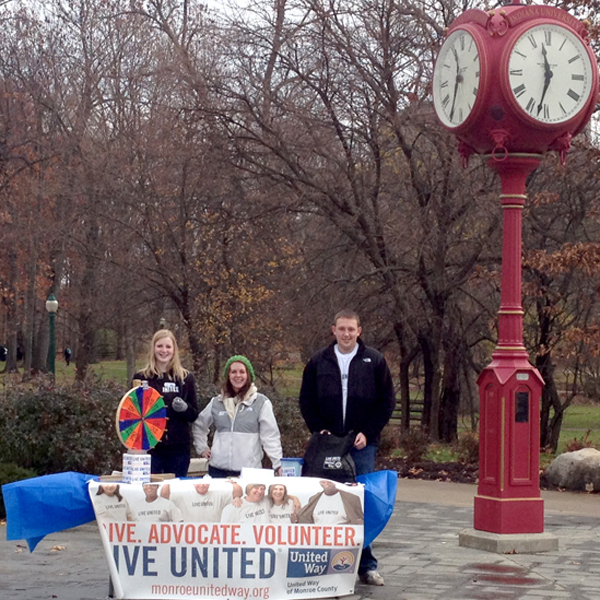 Students may also visit beinvolved.indiana.edu/organization/studentunitedway to learn more!